CHASE is serving body-ody-ody and FACE. Puppy dog eyes for days! 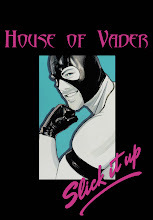 You can pick up the new Candy Cobra at SLICK IT UP at a discount using coupon code "houseofvader" and YES it does STAY ON!